I visited the city of Martel in 2010. I saw there a lovely locomotive 030 Trumbuz in the Museum. I took number of photographs of it. 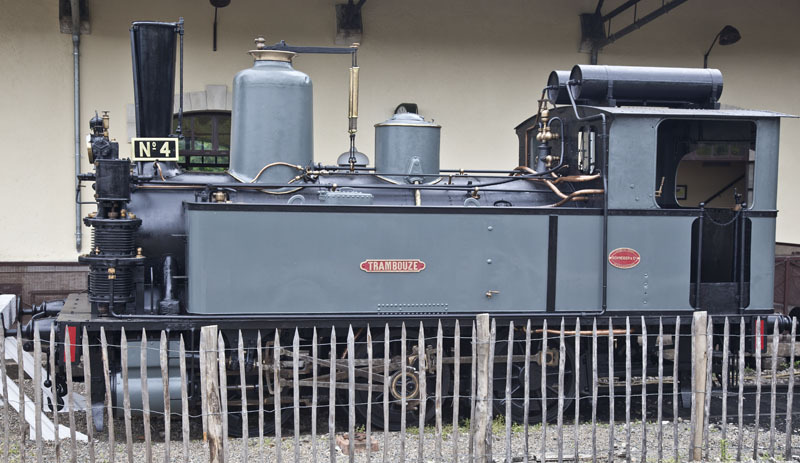 Now I am thinking of the model of this steam engine. I know that four locomotives of this series were built. Trambouze, Progress, Avenir, Espérance. Can you tell me what numbers were at Avenir and Espérance? I know that Progres has number 3 and Trambose number 4. I want to order decals for it now. As I understand Trambouze is in colors of PO, isn't it? les 030 T N°1 à 4 Schneider du Creusot (Locomotives "Avenir" 1? , "Espérance" 2?, "Progrès" 3 (ok) et "Trambouze"4 (ok)). Color scheme looks like PO .